Due to a private event happening on Tuesday 16 April we will not be opening for lunch in Hall. We will also be closing early at 13:30 on 18 April for the Easter break, reopening Monday 29 April. You’re engaged! Congratulations. It’s time to start planning for the biggest day of your life, and what could be more exciting?! Imagine celebrating Christmas in a private dining setting steeped in centuries of history. 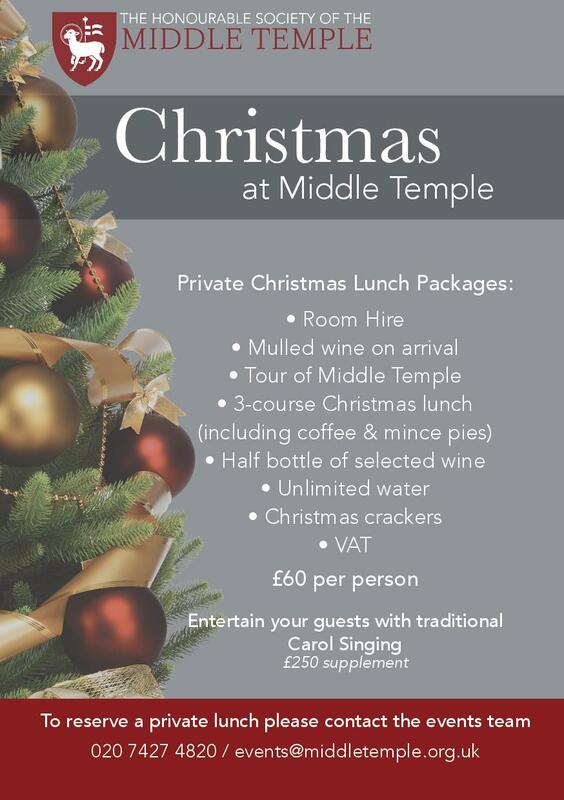 If you're planning a festive meal with work, clients, friends or family, make it special by hosting it at Middle Temple in one of our Bench apartments. Book now.